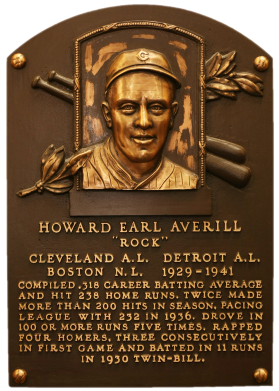 The only outfielder selected to baseball's first six All-Stars, Averill didn't turn pro until age 23, and didn't make the major leagues, with Cleveland, until age 26. In his first 10 seasons he was one of the game's best sluggers. 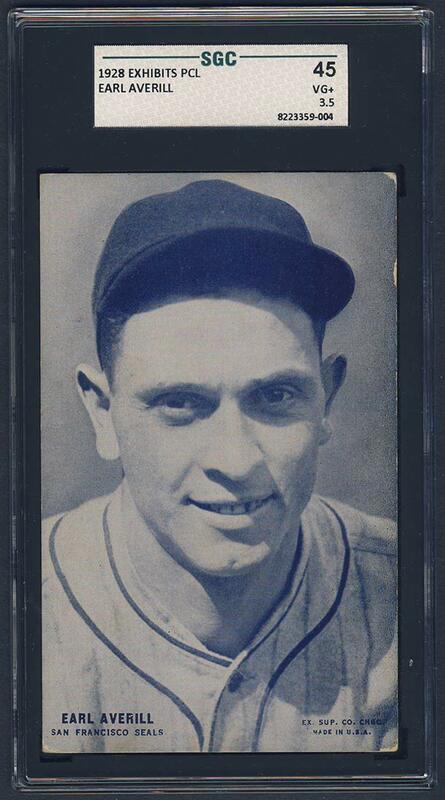 In a 1933 doubleheader, he hit four home runs, three consecutively. Averill had more than 90 RBI in each of nine seasons and ended his career with 1,165 runs batted in. A congenital back condition cut his career short. "The key card in the issue, this Hall of Famer is depicted in a portrait style image, free of distractions and hindered only by its coupon corner being clipped off for redemption purposes, and the sole reason for its assessment of Authentic." In September, 2011 I found this raw example on eBay. Even with the pencil writing on the back, it should grade GOOD and prove me with an upgrade to the clipped corner exampe described above. UPDATE: The Summer 2016 Love of the Game auction included several items of interest – a 1928 Exhibits PCL Averill SGC 45, a 1922 Exhibits Cy Rigler SGC 60, and a 1928 Sweetman Paul Waner SGC 30. I had owned a Sweetman card a long time ago, sold it, and then realized it’s scarcity afterwards. This triggered the desire to re-acquire another example. I wanted all three cards but had a weekend getaway to the mountains planned. So, I placed several Max Bids not knowing if I’d have wireless signal from the campsite. On the evening of 6/11 a thunderstorm hit Mueller State Park and the family was tucked in to our sleeping bags while it rained outside. My cell phone reception was perfect and I had three bars – monitoring the auction would not be an issue while the other family members slept. My bids held up and I won all three cards. 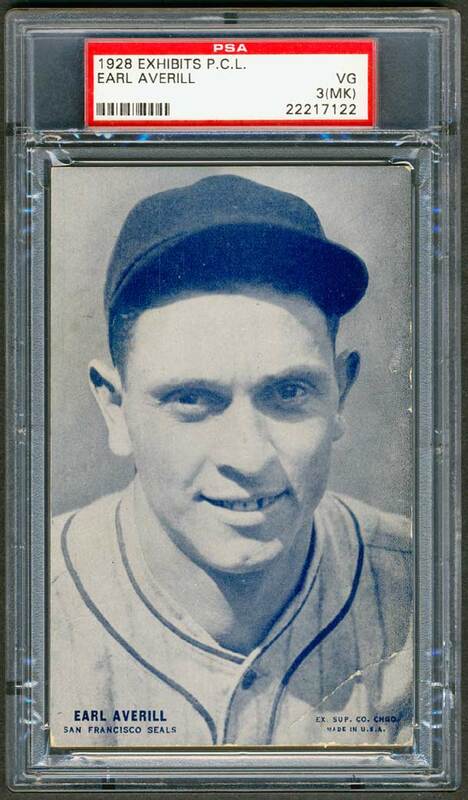 Two were upgrades – Averill (from a PSA 3 MK) and Rigler (from a SGC 40), and one was a newbie for me – the Sweetman Waner. It completed my 1928 Ice Cream run as I already had W502, Tharps and Harringtons represented in the collection. I was ecstatic about the Averill. My other copy didn’t have the coupon on the reverse and the pencil writing was annoying. It was a great upgrade. 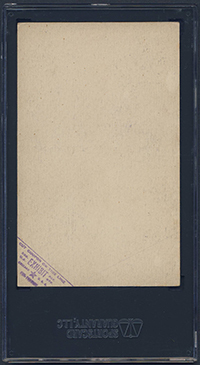 Description: This regional series of 32 cards pictures players from the six California teams in the Pacific Coast League. 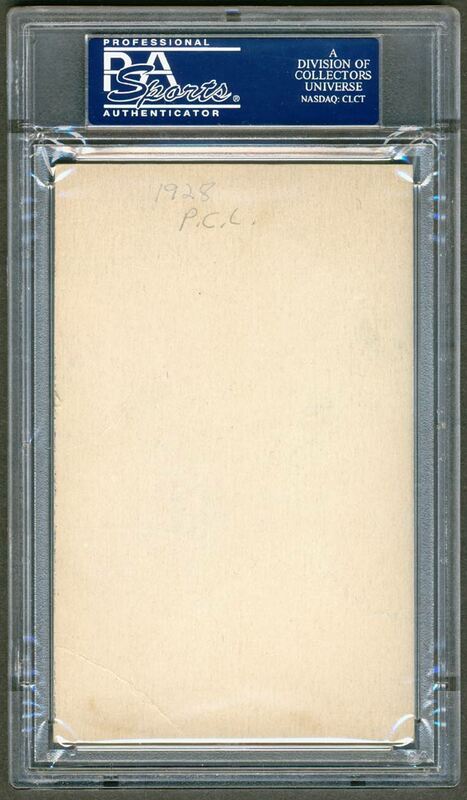 Like the 1928 major league exhibits, the PCL cards have a blue tint and are not numbered. 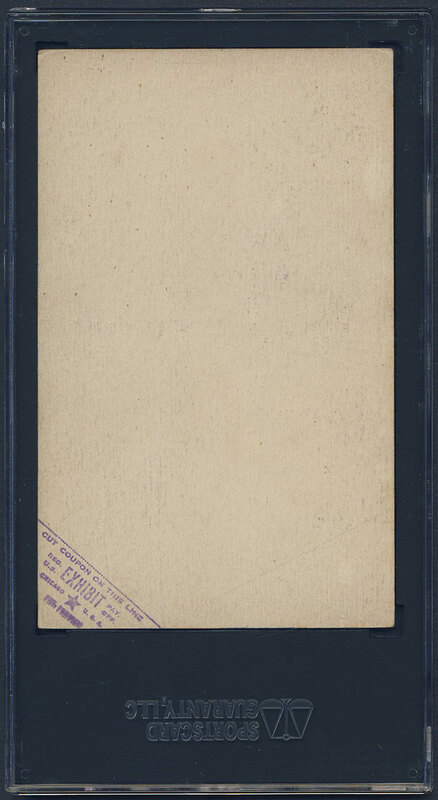 They are blank-backed and measure 3-3/8" X 5-3/8". The set includes several mispellings. 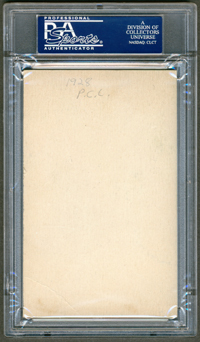 Cards are occasionally found with a corner clipped, the card corner to be used as a coupon wiht redemption value.